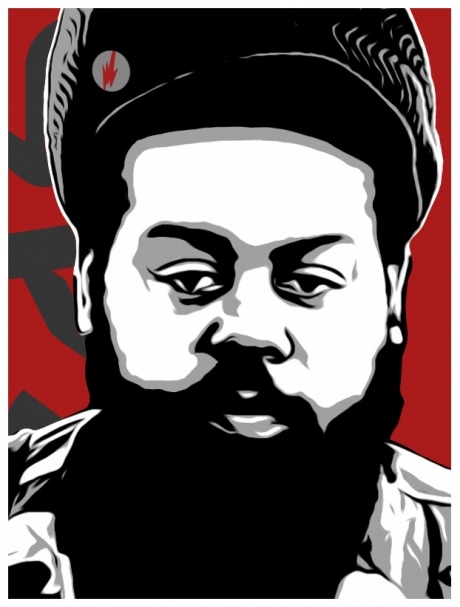 Ras G is one of the artists I wanted for this year’s Clandestino Festival, however with limited space and less money than in previous years,we found ourselves a bit stuck. However there will now be a Clandestino stage at the Way Out West Festival, so we’ve got Ras booked to do a set there in August. Recording-wise, our man returns with a six track EP of abstract dub-hop head pressure for Matthewdavid’s Leaving Records. With ‘El Alyien Part 1′ Ras is at his most esoteric. Bong-eyed blend of rich field recordings and crackly samples knitted togther with a bed of psychoactively charged subbass. Forward yout’! If you live in Athens there’s a good chance you know of the Barcelona in Athens crew. Nikos who runs things there dropped me a track from the forthcoming album from Palyrria, uptempo horny Mediterranean balkan pressure. As mentioned here a few days ago, Filastine will be bringing his sonic assault to the shores of Tenerife next month, so here’s another excuse to crank it up with a track from the Extra Dirty Bomb EP. Caribou step up with a new album called Swim. The track Odessa has been given the David Wrench treatment, and it comes in the form of a drumcappela, which you can cop for nought over at RCDLBL. I don’t know what direction I was looking in when Ninja Tune released the single by Andreya Triana late last year. The Flying Lotus mix of Lost Where I Belong is absolutely gorgeous, lush heart-tugging harp movements and what I think is Thundercat on bass, bottom end, soulful bliss.